The male has been located at an area hospital. OCFA located him at approximately 2:30 a.m. this morning after falling in the street. He was hospitalized as a John Doe. He is now receiving medical treatment and will be released once he recovers. SAPD Officers currently looking for critical missing adult, 84-year old Tai Tu, lives alone at the 900 West block 1st Street. At approximately 8:50 a.m., his caretaker came by and discovered he was not at home. 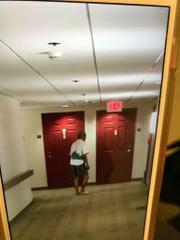 A check of the complex surveillance system showed Mr. Tu left the facility this morning at 12:30 a.m. Mr. Tu has severe dementia and is in need of medication. He is a male Vietnamese, 5-01”, 115 lbs. and only speaks Vietnamese. 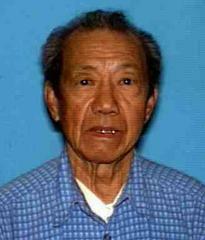 He was last seen wearing a white short sleeve shirt with a green design and blue shorts. If located, please contact the Santa Ana Police Department Watch Commander at (714) 245-8701 or Santa Ana Police Department Dispatch at (714) 834-4211.